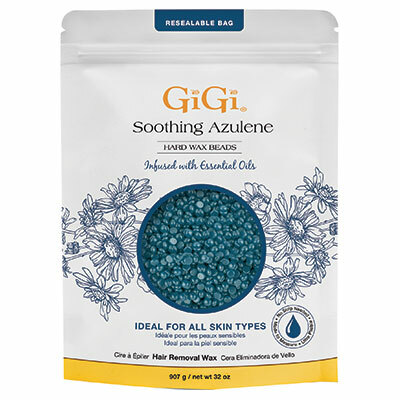 Gentle hard wax formulated with soothing Chamomile Essential Oil. Perfect for full body and face waxing. Conveniently packaged in a resealable bag to use only what you need! Wax stays flexible, never brittle. No muslin needed. 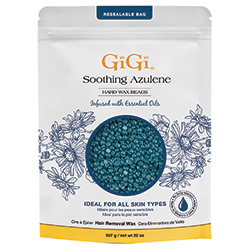 For use on all skin types, even those with sensitive skin. 32 oz.